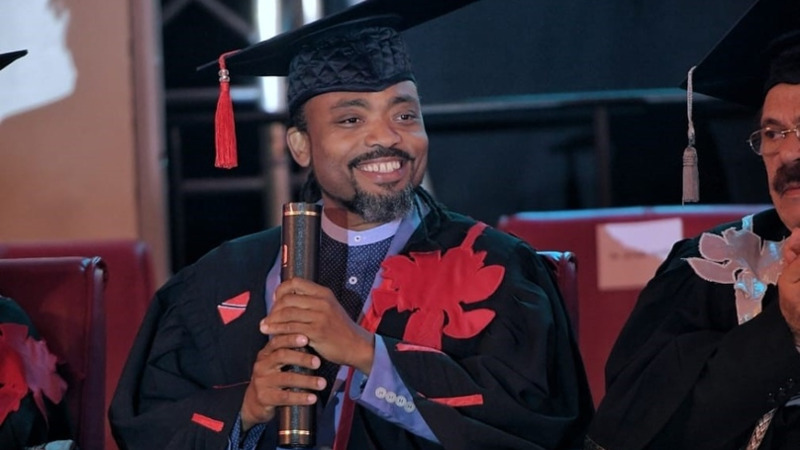 Trinidad: Honorary doctorate for soca king Machel Montano Machel Montano can now add doctorate to his long list of awards. 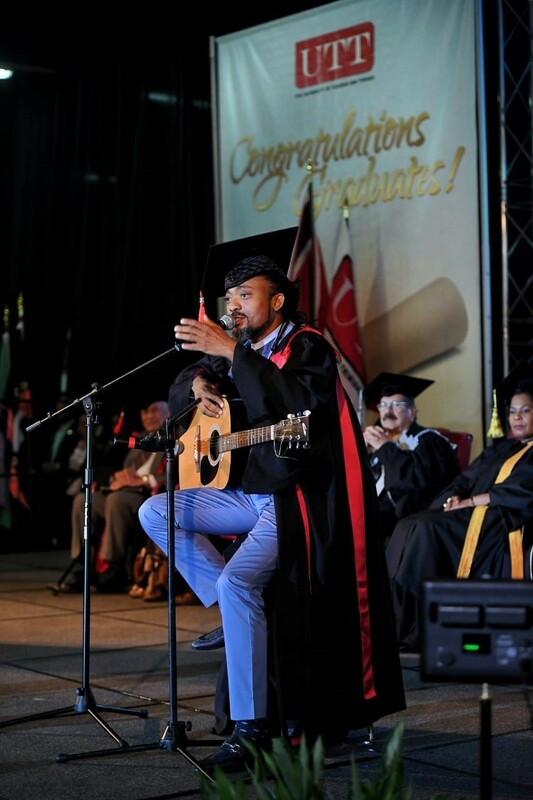 The soca king, who has been performing for 37 years, received an Honorary Doctorate of Arts from the University of Trinidad and Tobago on Thursday. Montano said he felt great, honoured and humbled to be a recipient of the Honorary degree. In the presence of his close friend Anthony Chow Lin On, girlfriend Renee Butcher, Manager Che Kothari and mother Elizabeth, who graduated from the University of the West Indies last month with a Masters in Cultural Studies, Montano performed an acoustic version of 'We Not Giving Up' and 'Too Young to Soca'. Also receiving similar honours from UTT was cultural activist, poet and playwright Pearl Eintou Springer. She received an Honorary Doctorate of Fine Arts. In congratulating Montano and Springer, Minister of Community Development, Culture and the Arts, Dr Nyan Gadsby-Dolly said from a young age Montano, distinguished himself as one of the leaders of the new school of soca, developing his skills as both a performer and later producer of innumerable Carnival hits both in and out of the Road March race. 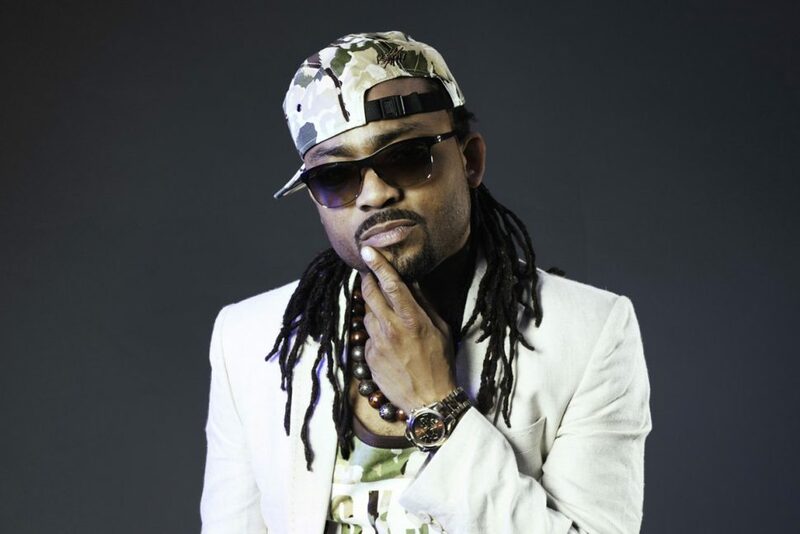 “Machel Montano has also carved a space for himself among the Caribbean's most visible cultural exports and it is for this reason that the Ministry is pleased to have him on board as one of the Brand Ambassadors for CARIFESTA 14, which takes place in Trinidad and Tobago in August 2019," he said. Of Springer, the Minister said the retired National Heritage librarian and former poet laureate of Port-of-Spain is a respected elder of the arts in Trinidad and Tobago who continues to work tirelessly for the retention, through performance, of many of our folk traditions from Kambule to Parang. "The Ministry was privileged to have her skills as a playwright and Master Storyteller for the 2018 edition of the Mentoring by the Masters Programme. She is a poet and historian with a wealth of knowledge on many aspects of Trinidad and Tobago’s culture; especially our Indian and African heritage. It is an honour well deserved," she said. The Ministry also extended congratulations to all 2018 UTT Honorees which include Roy Augustus, Alvin Corneal and Leo Martin. Af­ter more than 35 years in the art form, so­ca king Machel Mon­tano is be­ing award­ed an Hon­orary Doc­tor­ate in by the Uni­ver­si­ty of Trinidad and To­ba­go (UTT). Mon­tano, who will cel­e­brate his 44th birth­day on No­vem­ber 24, is among five peo­ple who will be re­ceiv­ing aus­pi­cious awards for their con­tri­bu­tion to so­ci­ety in ed­u­ca­tion, cul­ture, fine arts, sci­ence and sports at the UTT’s pre­sen­ta­tion of grad­u­ates next week. Mon­tano, who be­gan his singing at age sev­en, has been giv­en sev­er­al awards lo­cal­ly, re­gion­al­ly and in­ter­na­tion­al­ly dur­ing his ca­reer. The oth­er spe­cial awardees are ac­tivist Ein­tou Pearl Springer (Hon­orary Doc­tor of Fine Arts), for­mer na­tion­al foot­baller and coach Alvin Corneal (Hon­orary Doc­tor of Hu­mane Let­ters), for­mer teacher and politi­cian Roy Au­gus­tus (Hon­orary Dis­tin­guished Fel­low) and Leo Mar­tin (Hon­orary Doc­tor of Sci­ence). Over 1,700 stu­dents will be award­ed un­der­grad­u­ate and post­grad­u­ate de­grees, in­clud­ing two Mas­ters of Phi­los­o­phy and sev­en Doc­tors of Phi­los­o­phy de­grees. The grad­u­a­tion cer­e­monies are card­ed for No­vem­ber 14 and 15 at Grad­u­a­tion Pavil­ion, UTT’s O’Meara Cam­pus, Ari­ma and some 1,700 stu­dents will grad­u­ate.